Do you know the secret behind the First Thanksgiving harvest success??? Science! That’s right…there’s a plethora of resources available on the Wampanoag tribe and Three Sisters Gardening–a companion planting method using beans, and corn and squash. Three Sister Gardening is the method the Wampanoag used in pre-Columbian times. And it’s the method they used when teaching the pilgrims how to cultivate crops in Massachusetts. These days, (in post-Columbian times), it also just so happens to be the method I use to feed my own “pilgrims.” So, last fall, I set out to create a super interactive, hands-on, standards-aligned Thanksgiving unit on this topic. I was fascinated by what I discovered during my research and want to share with you what I’ve learned. For starters, Three Sisters Gardening wasn’t just used by the Wampanoag. In fact, it was used throughout much of North America before the Mayflower docked in Plymouth. It was even used by the Aztec and Maya! Corn is planted in the center of the garden. It provides support for beans and shade for both other crops. Beans are planted around the corn once stalks are growing. They climb the corn stalks. Their roots provide nitrogen to the corn. Squash is planted around the perimeter of the garden. It sprawls away from the garden and wards off predators with its prickly vines. Its leaves keep soil moist. Nothing says “keep predators away” like touching a prickly squash vine. How cool is that?! The three plants are mutually beneficial, space-efficient, and nutritionally complete! They were an excellent crop that fed our Native American ancestry from about 1000 A.D. on–throughout the continent! First, the Mohawk recorded them in their oral tradition. The Mohawk lived in present-day upstate New York and Ontario, Canada, a bit inland from the famous Wampanoag. Their oral tradition includes the Legend of the Three Sisters: an intriguing story used to teach the interrelationship between the three traditional crops. Second, the Pueblo People of the present-day Southwest U.S., recorded the Three Sisters in a different way. Terracing and “waffle gardening”—creating small divots in the ground around plants to retain moisture—were dry farming adaptations. Depressions in the soil and other archaeological evidence of these gardens remain to this day. 2009 U.S. Mint Commemorative $1 Coin (Obverse). Three Sisters crops are, of course, super healthy and versatile. I mean, how many ways can you think of to use corn? Beans? Squash? Better yet, together the three crops make a healthy and nutritionally complete meal! Moving on to companion planting, students discover through a presentation the mutually beneficial attributes of beans, corn and squash. They even make their own Three Sisters Garden Diorama (complete with labels) with readily-available craft supplies. My final lesson in the unit covers the nutritional aspects of the Three Sisters. Students use a USDA MyPlate.gov poster to determine where each Three Sister crop belongs on the chart. They finalize their results by making their own paper Wampanoag Harvest Plate and write about it in a CCSS-aligned summary. 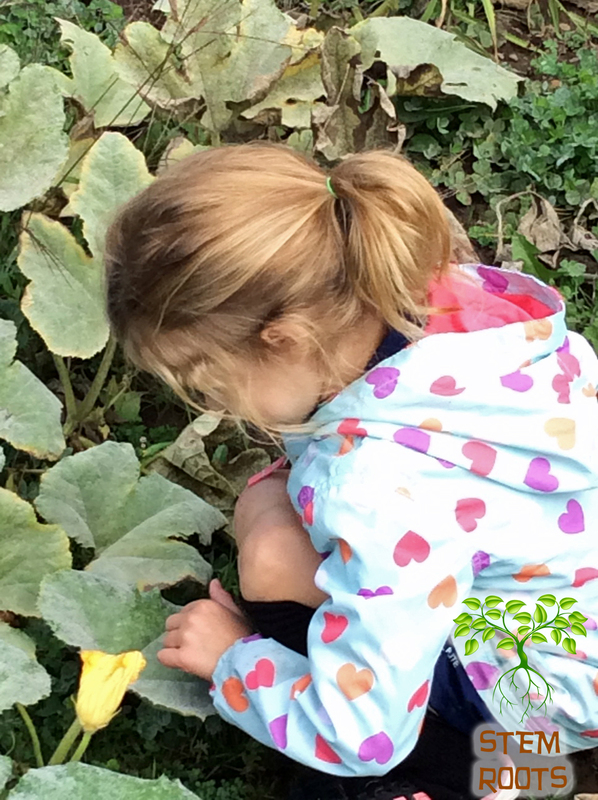 So, if you’re thinking about teaching the science behind the First Thanksgiving this fall, consider teaching about the Three Sisters Gardening traditional methods in your classroom. There is lots of research available online. Or, simplify the season and pick up my Thanksgiving Science unit lesson plan available in my TeachersPayTeachers Store. It’s an excellent way to teach your students the secret behind the First Thanksgiving success!! Previous Check out my new Pinterest boards!